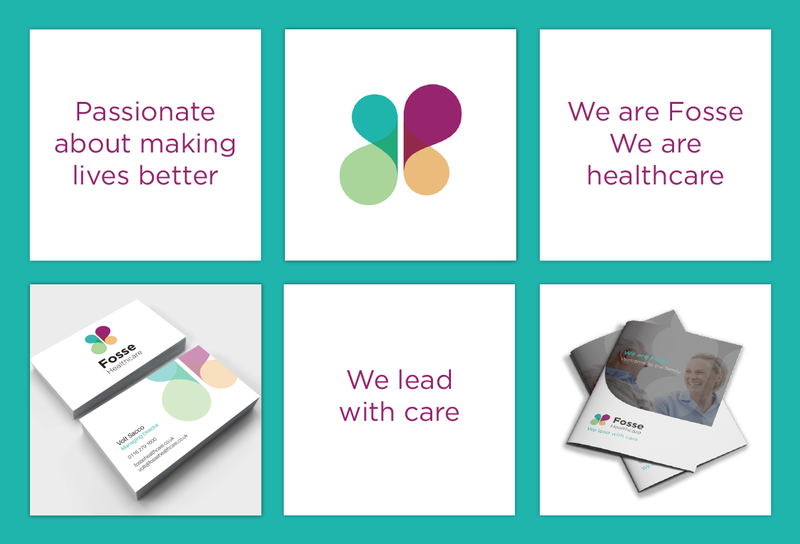 Earlier this year we embarked on a journey with Fosse Healthcare to rediscover what made them one of the country’s leading healthcare providers, to redefine their ethos as an organisation, their identity in the market, and reimagine their brand for new and modern audiences. When developing a new brand identity for Fosse, we knew it was important to involve the very people who live the values of the company day-to-day from the very beginning of the process. Members of the team — comprising of seasoned caregivers, health care trainers, and key management — joined Koobr in a Brand Discovery workshop: an interactive session where we explored the core values upon which the organisation was founded; how these values translate over to the services they provide; their commercial and cultural objectives for the company moving forward; and exactly what it is that makes Fosse Healthcare stand out from competitors. With a deeper understanding of the organisation and its aims, Koobr worked to establish the framework for a new brand identity — starting with visual and conceptual experimentation, eventually leading to a visual style and brand voice that was developed in tandem for total consistency. Once these foundations were in place, we began to word-craft mission statements that would dictate the tone and content of key marketing messages, distilling the information as we went along until we had a suite of succinct brand messages and a leading strapline. 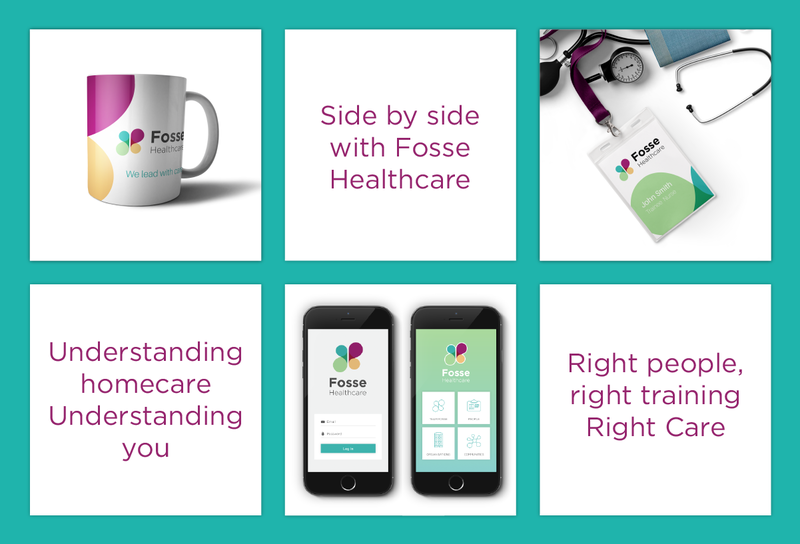 We worked to develop a friendly, reassuring brand identity that reflected the caring and professional nature of the Fosse Healthcare family. One that would fulfil their marketing objectives and endure over time. The look of the new brand was influenced by existing trends within the healthcare industry, but never exclusively tied to these limitations. Colours, icons, and the eventual logo were all dramatic overhauls of the organisation’s previous visual style. We wanted to address conventions and heritage whilst at the same time reimagining Fosse for a more contemporary, digitally-led era.